It has been a while since I have to post about a tornado risk. There is one today in the northern Great Plains. 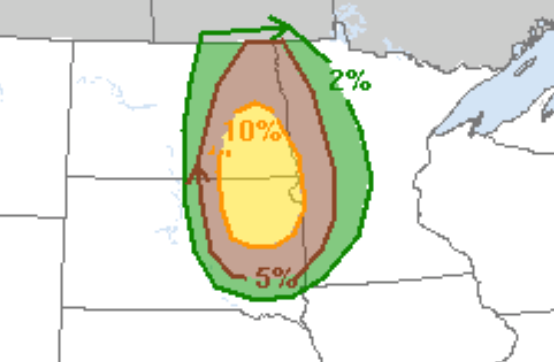 Keep in mind the brown (5%) is the significant tornado threshold. Yellow (10%) is an enhanced risk. Please keep an eye on the weather in this area today.